Brachiosaur and ceratosaur dinosaurs. 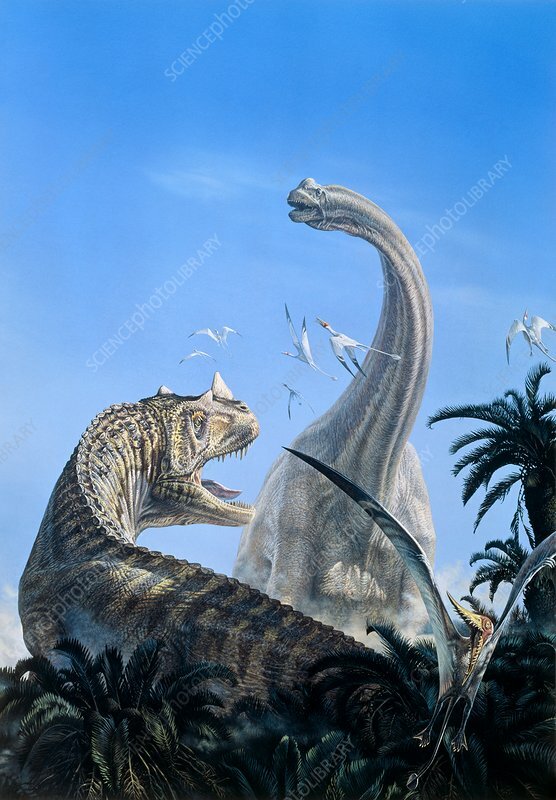 Computer illustration of a ceratosaur carnivorous dinosaur (left) attacking at brachiosaur (right). Ceratosaurs were predatory carnivorous theropods, whilst Brachiosaurs were herbivorous sauropods. Both date as far back as the Late Jurassic period (around 160 to 145 million years ago).